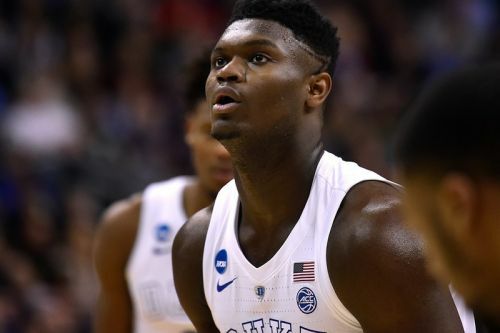 Though it comes as no surprise, 18-year-old Duke freshman Zion Williamson has just declared for the 2019 NBA Draft . Sharing a personal video to his IG account on Monday, Williamson thanked his family, coach Mike Krzyzewski, the Duke fans and others for their support before officially declaring for the NBA Draft. Six-foot-seven Williamson is projected to be the top pick during this year's NBA Draft and has caught the attention of many league heavyweights from his dominate collage career, scoring on average 22.6 points on 68.0 percent shooting with 8.9 rebounds, 2.1 assists, 2.1 steals and 1.8 blocks in his past 33 games this season. He has also gone on to win the Wooden Award and was named the men's basketball player of the year by the Associated Press.